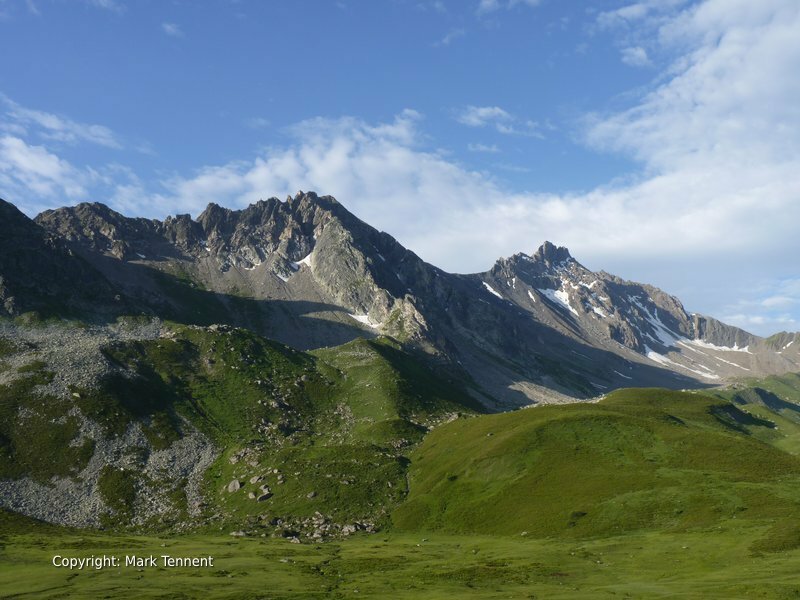 Explore the beautiful Massif du Beaufortain in a series of day treks. The Beaufortain is situated South-West of the imposing bulk of Mont Blanc. It retains an authentic charm where traditional Savoyard wooden chalets blend into the hillsides. The alpine pastures are grazed by herds of cows and goats with tinkling bells produce the renowned local cheeses. This holiday is based on a small, family run hotel in the village of Aréches (c.1000m above sea level). The hotel is situated right in the centre of the small village with a sunny terrace for a relaxing drink at the end of the day. Dinner is served in the dining room and you can enjoy the local Savoyard specialities. Breakfast is taken adjoining the bar where you can enjoy fresh croissants, bread and cereal if you wish. Each day we will a walk taking in the variety and beauty of the area. Turquoise watered lakes reflect the hills with the snow and ice-capped mountains of the Mont Blanc Massif as a backdrop. 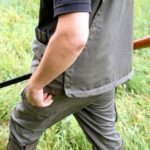 There will be plenty of time to take photographs of the scenery and the abundant wild flowers. We will almost certainly both hear and see the delightful marmotte with its shrill warning whistle. We may also get to see the bouquetin (ibex) and if lucky, the more shy and elusive chamois. Stunning views of Mont Blanc and the surrounding mountains are almost guaranteed! D1 – Transfer from Geneva or Albertville. Arrive and settle into your hotel. 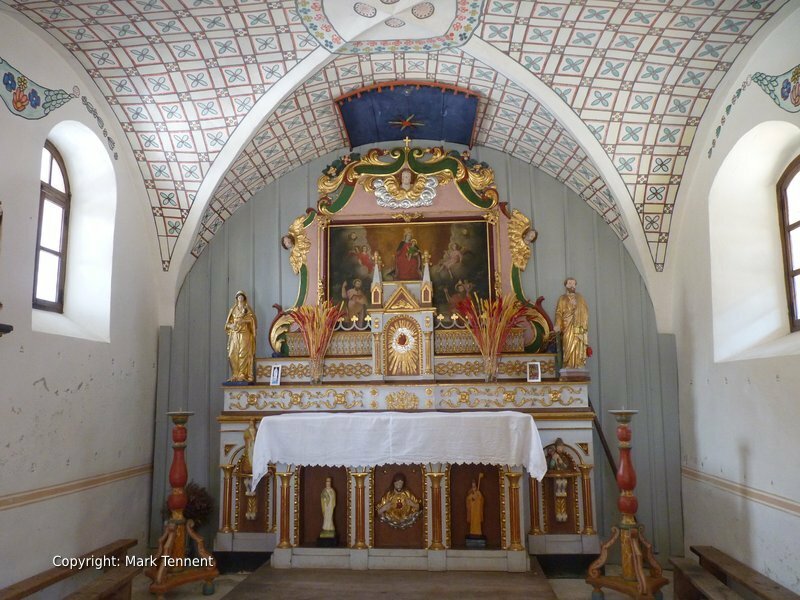 Take the chance to explore the little village of Aréches. 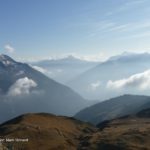 D2 – Mt Mirantin (2460m) – superb views over the Combe de Savoie and the Beaufortain Massif. We leave from close to Planay passing old wood built chalets. Contouring the hillside we reach a small chalet d’alpage where, in the summer, goats are grazing and milked to make cheese. There may be the opportunity to see the cheese being made. We climb steadily now to the Pas de l’Ane (Pass of the Donkey) where we turn right a pick up the narrowing ridge before reaching the summit of Mont Mirantin. 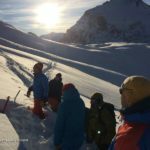 D3 – Cret du Rey (2633m) – starting from the Cormet d’Areches we make for the mountains north ridge. From here the summit is reached by a short but steep crest. After a well-earned rest our descent takes us over the Pierre Percée and the Col de la Grande Combe back to the Cormet. D4 – Grand Mont (2684m) and Lacs de la Tempête. Starting from the Lac St Guerin we follow a path that first follows the side of the lake. Then we climb gently through pine woods to emerge on to a spur that leads up past the Chalets de Rognoux. The ground becomes rougher until we emerge at the summit. 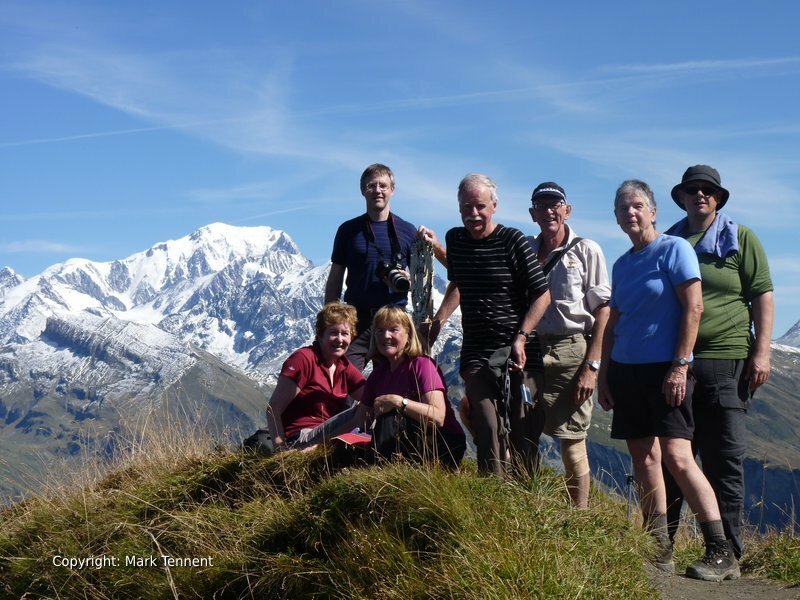 A chance to take in the 360 degree views, including Mont Blanc in the distance and the mountains of the Vanoise. A steep descent takes us down to the Lacs de la Tempete nestled in a valley sandwiched between the Grand Mont and the Pointe de Comborsier. An opportunity for a pause and then pick up the path that leads round to the Col de la Louze. A good path leads gently down through the alpage and back to the Lac St Guerin. D5 Lac de Presset – Leaving from close to the Lac de Roselend our route leads up to the Col du Bresson (2469m). To our right is the inspiring monolith of the Pierra Menta, which lends its name to the famous ski alpinisme competition that takes place in the Beaufortain each year. 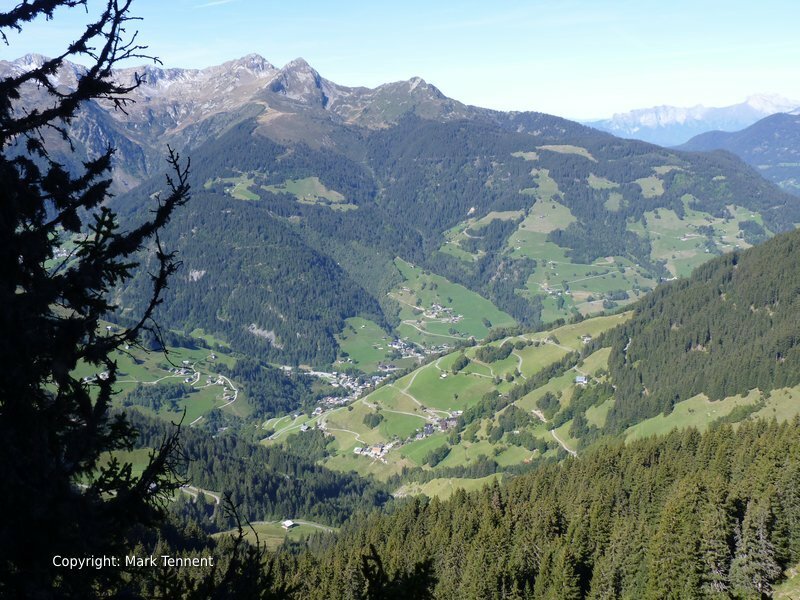 From the col we can see the Refuge de Presset which we reach by a path contouring the hillside. 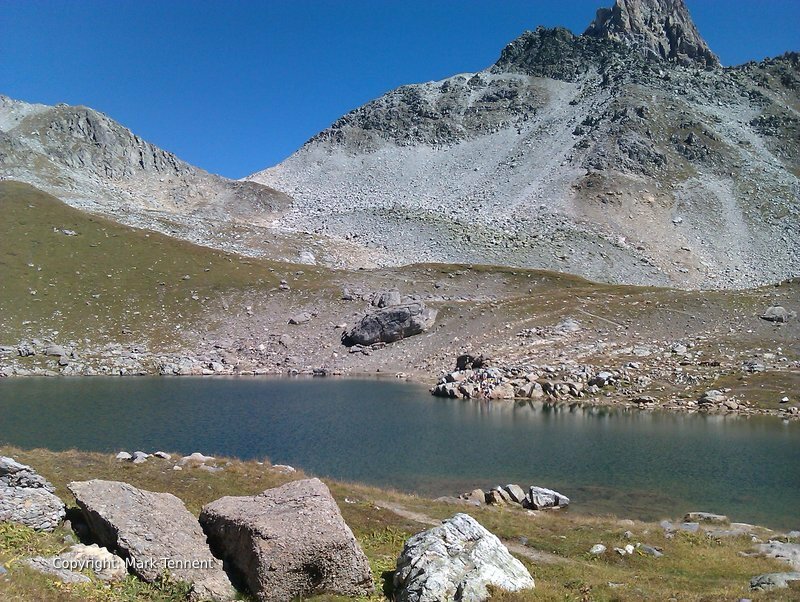 The refuge is small and close to the Lac de Presset. A wonderful spot to enjoy our picnic. After lunch we make for the Col du Grand Fond from where we can look down the long valley of the Combe de la Neuve. 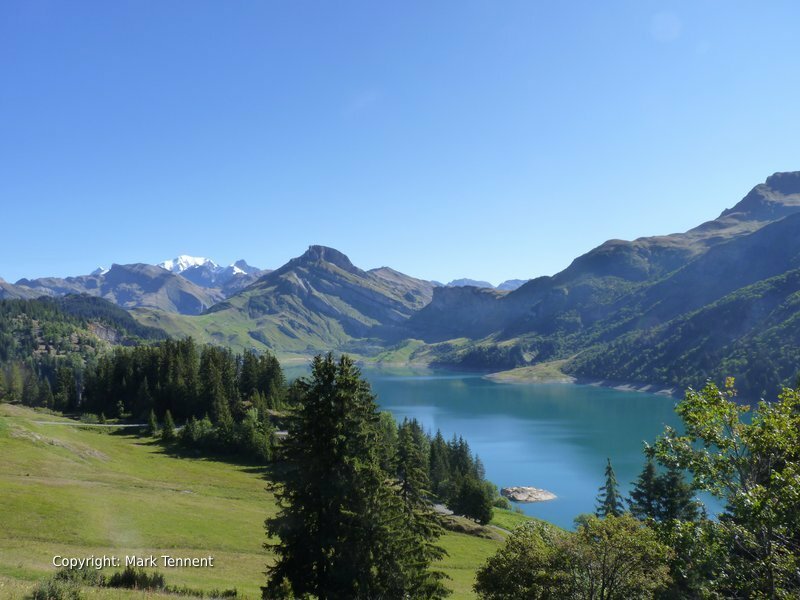 A short traverse takes us to the Breche de Parazon (a breche is a small pass) and views, once again of the turquoise blue waters of the Lac de Roselend. A descent takes us back to our starting point. A view of the dramatic Pierra Menta, a rocky monolith. 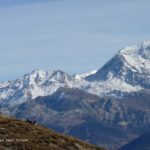 D6 – Col de la Croix du Bonhomme and the Crete des Gittes – These two cols are visited on the Tour du Mont Blanc, a rightly popular trek. We start our day from the close to the Lac de la Gittaz nestled at the end of the valley. This valley is cut off in winter and is only inhabited during the summer months. 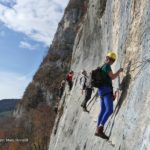 Our route crosses a clear tumbling stream to reach the Passage du Curé (the path of the Curate) that is literally carved from the walls of the rock gorge above the stream tumbling below. We emerge into a hidden, flat-bottomed valley. Our little-used path takes us up to the Col de la Croix du Bonhomme. From here there is the possibility of stopping off for some refreshment at the Refuge de la Croix du Bonhomme overlooking the valley of Chapieux. Ahead of us lies the Crete des Gittes a narrow ridge with a path carved out by French soldiers prior to the First World War. The path switches from side to side of the ridge before a short descent leads us down on to the Col de la Sauce. We descend now to the la Sausse before picking up our uphill route. D7 – Col de la Fenêtre / Aiguille de Roselette – starting from below the Col du Joly above the village of Haute Luce we head up to the Col de la Fenêtre. From here there are superb views on to the Domes de Miage, the Tre la Tete glacier and Mont Blanc. A fine ridge leads on to the Aiguille de Roselette. We drop down before crossing back over the Col de la Cicle. D8 – Departure after breakfast and transfer to Albertville and Geneva. Min / Max Group size: 2 – 8 (Private group departures please contact me).